Today’s Brexit announcement by British Prime Minister Theresa May sets a clear direction for the UK’s departure from the EU. But what does it mean to businesses when dealing with government online? And as a result what is the impact on government departments and agencies managing their services for business? One of the key areas to be impacted will be migration. This no doubt was at the heart of Brexit. Businesses will need new advice on what to do if they employ staff from the European Union. And if seperate bilateral agreements are struck different regulations are likely to exist for their citizens requiring further guidance for employers. Of course with all these changes it won’t just be the UK Government who’ll need to update their guidance and services to business. 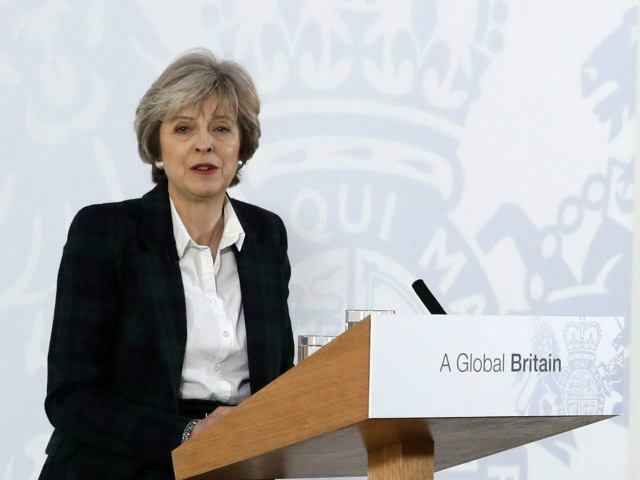 Governments worldwide will need to change their digital services and information for businesses who deal with the UK. Understandably there will be major changes within the European Union, but the nature of the EU will take the pressure off individual states as changes are rolled out centrally. The same will occur for governments around the world as they update their advice to local businesses trading with the UK when Brexit occurs in 2019. But it’s the potential impact of Scottish independence that makes the mind boggle in ensuring businesses have access to the right information to trade and employ. Overwhelmingly in the Brexit referendum Scotland voted to remain in the EU (62% vs 38%) but with the UK as a whole now leaving Europe many Scots understandably feel the pretext of the 2014 independence referendum is null-in-void. A second - and successful - referendum could see many last minute changes to how Brexit would work and how to deal with a newly independent Scotland on the trade, customs and border control front. The impact alone on timely government guidance for any businesses hiring Scots or selling goods and services in Edinburgh and Glasgow would be immense. This needs to be factored into the thinking of governments both in Westminster and Holyrood. 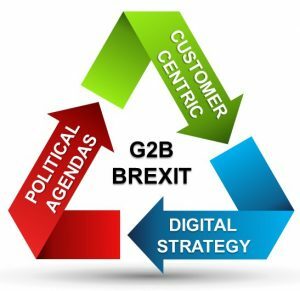 The challenge for the UK’s G2B approach to Brexit is managing the interplay between customer centricity, digital strategy and political agendas. While it is unlikely political agendas will bend to digital strategy, it is more likely MPs in their constituencies dealing with their local business owners will have a big impact. Out on the High Street they will quickly be aware of information vaccuums or contradictions coming from UK departments and agencies about Brexit. This would see political agendas bending and accommodating for business concerns. So while Article 50 is yet to be invoked, these issues will need to be on the UK Government’s radar as they progress on this two year journey. This is unchartered territory and no doubt slip ups will happen. It’s a case of how can the Government best plan and action Brexit while ensuring UK, European and businesses abroad get accurate and timely guidance.